Ok…so I don’t normally do an App review on Thursdays, I just couldn’t think of a good title for this blog. My creative juices aren’t flowing very fast today. I’m sure as soon as I take a shower (most of my great ideas come to me in the shower…), I will think of a fabulous, wonderful, amazing title. Until then, “App Review Thursday” is what you get. So, my 3 year old can count to 10…and beyond (although, she tends to skip 16, 17, 18 and goes from 15 to 20), and we’re working on the alphabet. I was perusing the App store the other day, and I stumbled across a really cute app. I don’t know if it was under The “New and Noteworthy” or “What’s Hot” in the Featured section, but it doesn’t really matter…it’s this mom’s new best friend. Here is the link to it in the App Store. 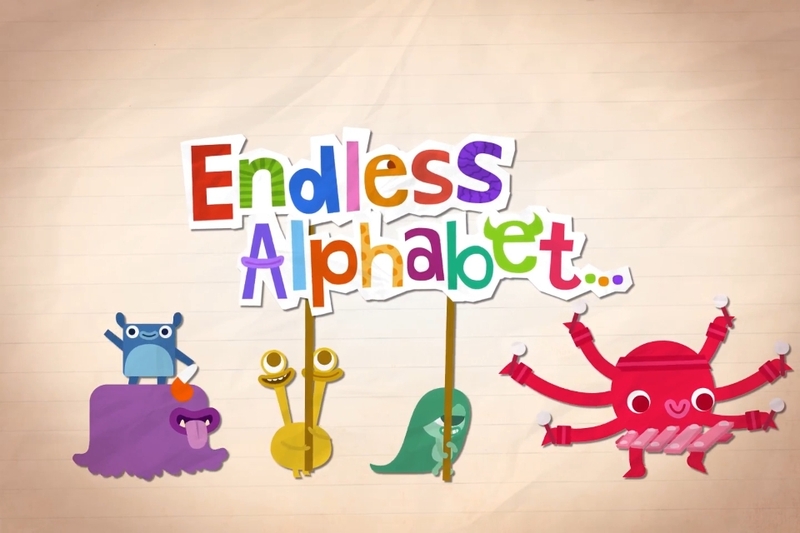 It’s called “Endless ABC” and it’s developed by Callaway Digital Arts, Inc., the same company that does “Monster At The End Of The Book” (one of my favorite childhood books, by the way). When I saw that, I figured it would be a cute app. The Monster At The End Of The Book (referred to from here on out as “MATEOTB) is wonderful. Not only is it a book, but there is a lot of interaction within the app. But anyway, I digress…. What makes this app so great? Well, first of all, it’s free! My brother sometimes always gives me a hard time because I refuse to download the Angry Birds Star Wars app to get the complete game when my kids can just play the free version over and over again. I know it’s $0.99, but if I can get it for free…even better! The graphics are so cute!! The app features these colorful little monster thingys. The animation is amazing!! So, what the app does is introduces a word (alphabetically), one at a time. It shows the word on the screen and the little monster thingys run over the word, scattering the letters everywhere. Your child then has to drag each letter back into place (there are letters still there for them to match up). While they are dragging the letter into place, that letter comes alive and starts making its phonetic sound. When placed correctly, the letter then says it’s name. After you get all of the letters put in place, the little monster thingys act out the meaning of the word, and then the narrator gives the definition. And, we’re not talking basic words like “cat” or “dog”. I saw “cooperate”, “vegetable”, “quarrel” and “gargantuan”. This app really has so many things going for it. Matching, phonetics, letter recognition, reading comprehension and vocabulary building. Sophie loves it. No really, LOVES it! I can’t even emphasize how much she loves it. She played with it while I was fixing her hair (and if you know her at all, you know that even brushing her very looonnnggg hair is an ordeal). After we took her brother to school, she begged to play with it when we got home. She’s only been playing with it for a day, so the letter recognition hasn’t kicked in yet, but I’m hopeful that the more she plays with it, the more she’ll start to connect the dots. Did I mention that it’s free for a limited time? I strongly encourage you to just go ahead and download it now…go…stop reading…go on now…download…it’s ok…I don’t mind! OMG. I totally just downloaded this. HOW FUN!